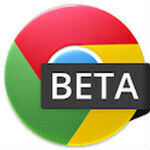 A couple weeks ago, Google launched the Beta channel app of its Chrome browser for Android devices. 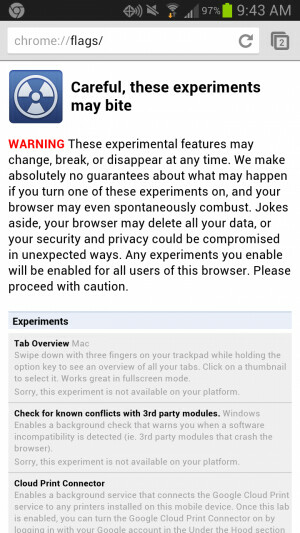 Chrome Beta can be installed alongside the regular Chrome browser app for Android, and it promised early access to new features (and bugs). And, a new update brought some interesting new features including experimental WebGL and more. There are quite a lot of other settings for you to play around with, if you're so inclined. If you want to give it a shot, you'll need to be running Android 4.0 or higher, and you can get Chrome Beta in the Google Play Store.